Name : Dipti Makrand Bhagwat. Also known as Deepti Bhagwat. Husband/ Spouse : Makrand Bhagwat. 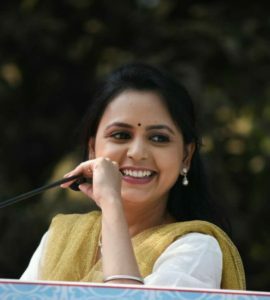 Dipti Bhagwat is a beautiful talented actress of Marathi entertainment industry. 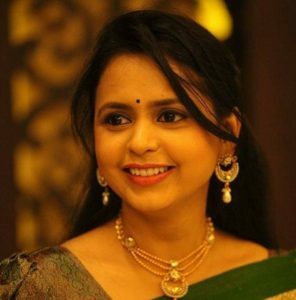 She debuted her career with old DD Sahyadri’s serial Manaswini. She is a good singer also. She participated in celebrity Sa Re Ga Ma Pa. 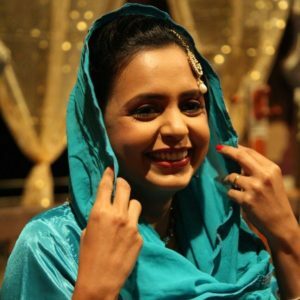 Her other serials include Asava Sundar Swapnancha Bangla, Pinjara, Raja Shivchhatrapati, Anamika, Gunda Purush Dev, Sant Dnyaneshwar (as Muktai), Hridaya Preet Lagate and Gaane Tumche Aamche, etc. She received the best supporting actress award for Pinjara. 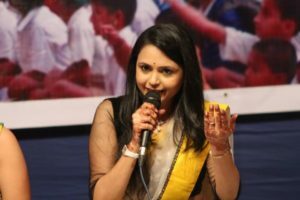 She did a very good job in anchoring the show Gajar Kirtanacha Sohala Aanandacha show. She has acted in film Sangharsha Yatra. This film was based on late politician Gopinath Munde’s life. She played the role of Pradnya Munde. Her other films are Dehant, Natee, etc. 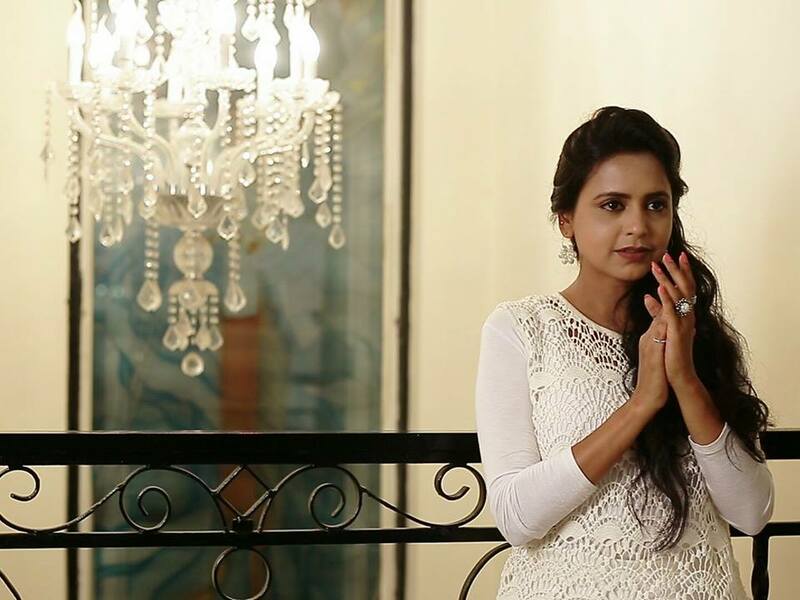 She has received best actress award for her short film My Wish. She also has the write up series titled Abhi Na Jao Chhodkar Ke Dil Abhi Bhara Nahi. She is also a model for celebrity calendar 2012 by Bharat Pawar. She is very good anchor also. 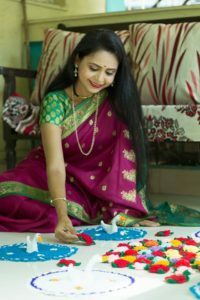 She has played Saida in famous play Hamidabaichi Kothi. 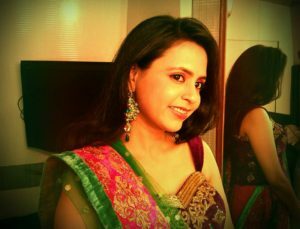 Dipti Bhagwat is from Vasai and currently living in Mumbai. She is married to Makrand Bhagwat. They met during college days. She has studied in New English School. She is not only a beautiful actress but a beautiful poet as well. Marathi Actor, Marathi Celebs, Marathi Actors, Marathi Celebrities, Marathi Actors Wallpapers, HD Wallpaper, Marathi Entertainment Industry, M town, Celebrities, Directors, Producers, Marathi Directors, Marathi Producers, Lyricist, Screenwriter, Cast and Crew, Cast & Crew, Marathi Movies, Films, Songs, Marathi Serials, Teasers, Trailors, Selfie Video, Celebs Katta, MarathiCelebs.Com, Marathi Website, Film Reviews, Articles, Videos, Marathi Actresses, Marathi Actors Biography, Marathi Actresses Images, Pics, Upcoming films, Upcoming Serials, TV Updates, Film Industry, Photos, Promotions, Interviews, New Films, Selfie Interview, Dipti BHagwat, Deepti Bhagwat, Deeptee Bhaagwat, Asava Sundar Swapnancha Bangla, Pinjara, Raja Shivchhatrapati, Anamika, Gunda Purush Dev, Sant Dnyaneshwar (as Muktai), Hridaya Preet Lagate and Gaane Tumche Aamche, Sangharsha Yatra, Pradnya Munde, Gajar Kirtanacha Sohala Aanandacha, Dehant, Natee, Hamidabaichi Kothi, Saida, celebrity calendar 2012, etc.